We enjoyed an open air evening celebrating the performing arts at Holders Season last night and I had my first taste of Cajun music. 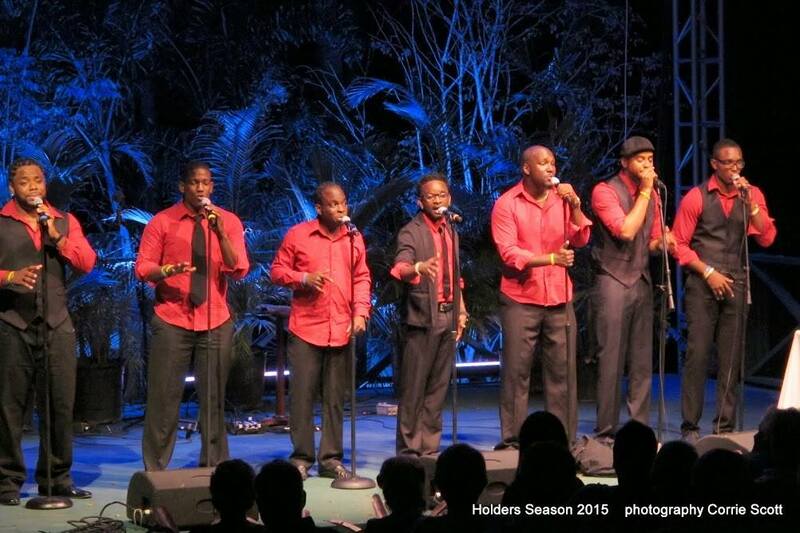 The Holders Season is an annual International Arts Festival that has been running for 22 years and is hosted in the gardens of Holder's Plantation House. 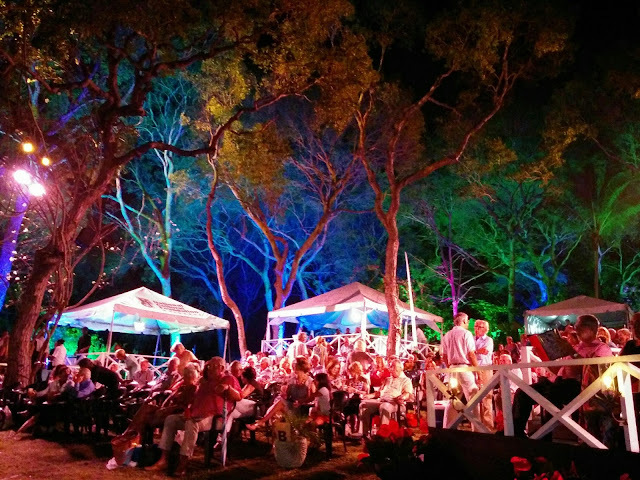 I've been fortunate enough to attend this event before and I absolutely love the opportunity to enjoy something different on this island, whilst still appreciating the fact that we can sit outside under a blanket of beautifully lit trees. 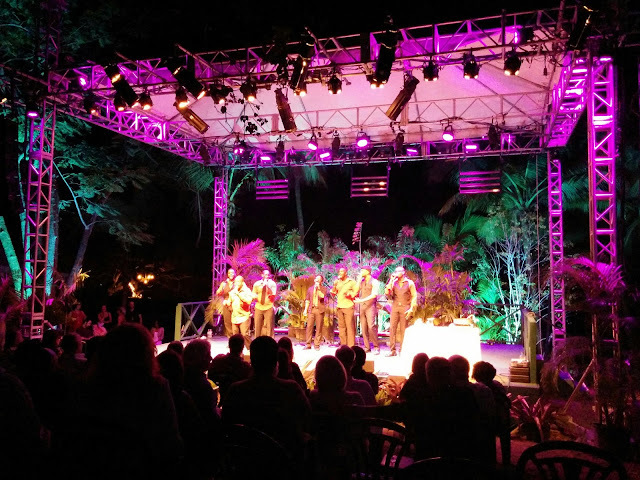 The festival has a very diverse programme, with shows ranging from cabaret to comedy, whilst also sharing the stage with local talent, offering them the opportunity to perform in front of a large, international audience. I can't remember the name of the awesome group below, but they were like Boyz'to'Men with a sense of humour. The Savoy Family were the featured act of the night, and they were really great! They're considered to be the 'Royal Family of the South' and are very well known in the folk music industry. 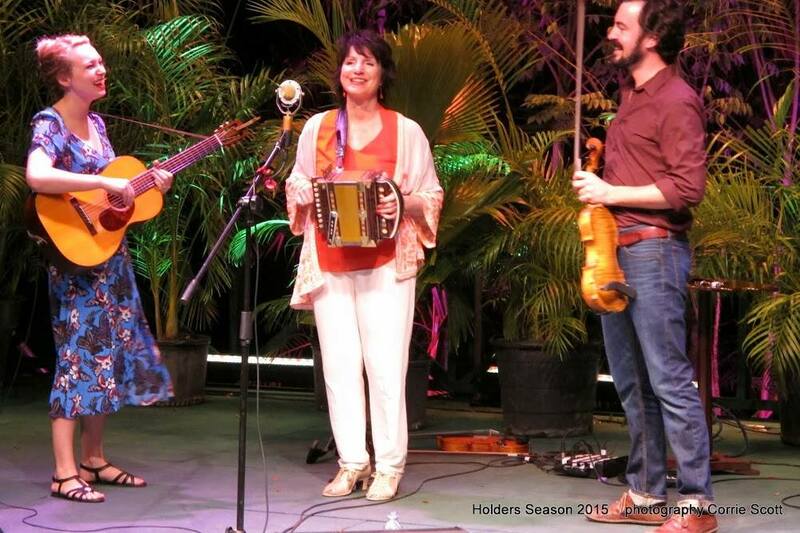 It was awesome to see Mama Savoy, her son Joel and Joel's wife performing on stage together, swapping between the fiddle, guitar, violin, triangle and a handmade accordion. Their songs relayed the spectrum of Cajun life from sorrow and lost love to nonsense and the joy of dance. The performance was peppered with humorous and informative anecdotes about life in the Cajun heartland and made me consider adding Louisiana to my future travels. 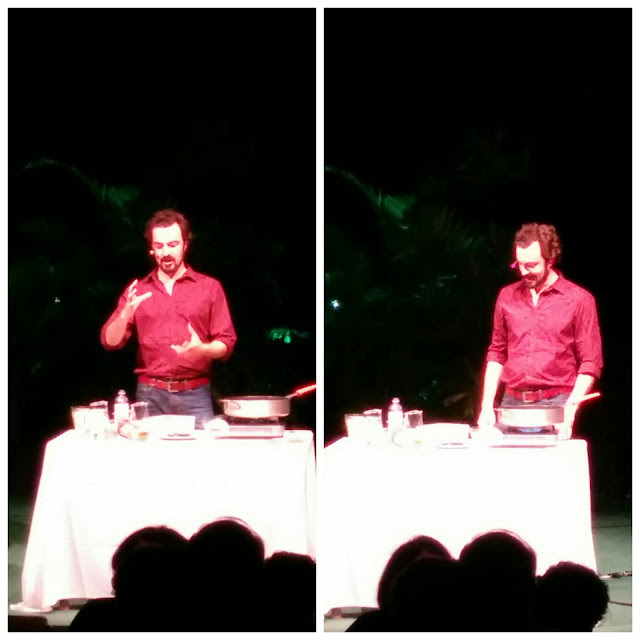 The only criticism was that the show organisers got a bit carried away by asking Joel to 'perform' a half hour 'Cajun cooking show' segment for the crowd. It was a serious buzz kill and everyone was very confused; we came to hear live music, not listen to a very talented musician awkwardly cook a pot of stir fried shrimp on a silent stage. Thankfully, the heavens opened up and cut the cooking show short. 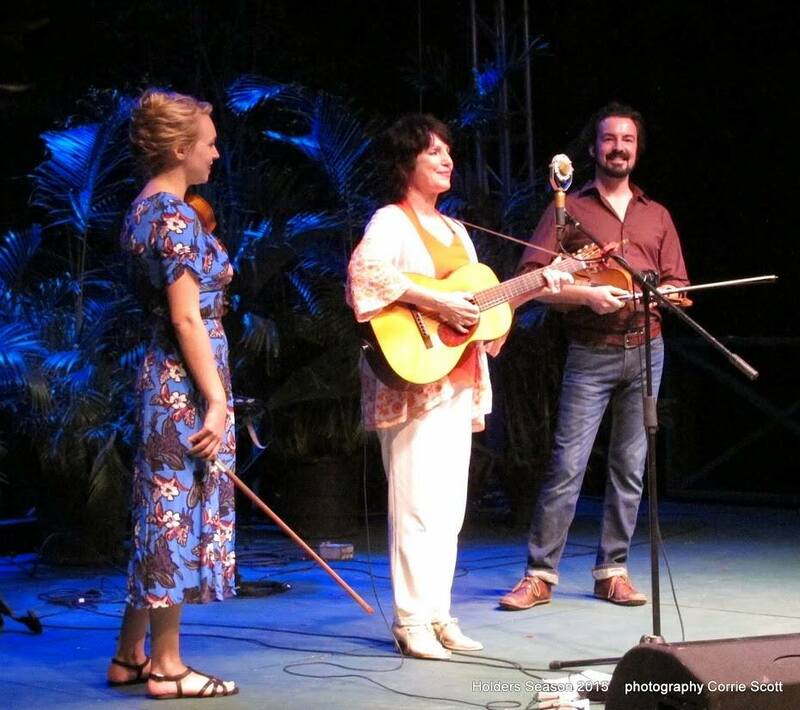 If you've never heard Cajun music, I'd highly recommend you check out the Savoy Family Trio!